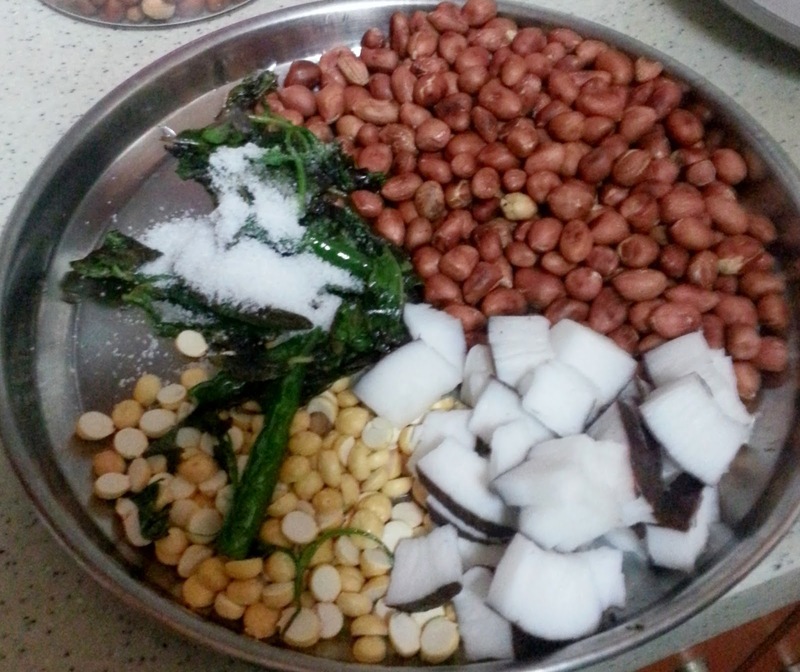 Coconut, Peanuts and putani / rosted gram Chutney is a delicious tangy-hot dip. This is a simple, tasty and easy chutney recipe. This chutney is the usual accompaniment to breakfast dishes like upma, pongal, pesarattu, dosa, idli and vada. It takes all of 10 minutes to make this, if you have roasted skinned peanuts on hand. 1. Dry rost the peanuts in medium flame till peanuts are slightly brown . switch off the stove and bring to room temperature. 2. In a kadai put oil, green chillies, coconut and coriander leaves and fry them till raw smell goes. switch off the stove and bring to room temperature. After that grind all together by adding salt and required amount of water. · I don't remove the skin of the peanut. you can remove the skin of the peanut to enhance the taste of chutney.